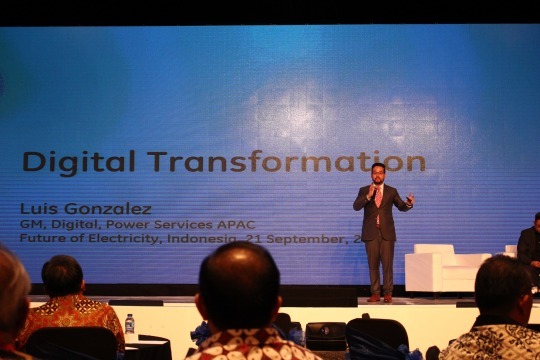 More than 200 business executives, academics, and innovators based in the ASEAN region gathered in Jakarta, Indonesia for GE’s Future of Electricity Conference on 21 September 2016. GE Reports ASEAN has produced a multi-part article series that highlights the key discussions of the conference, some covering breakthrough technologies that will make power generation and distribution more efficient, and accessible, and more importantly, potential solutions enabling Indonesia to accelerate development of its energy sector. Today, we cover key takeaways from the conference. The reality is that till today, the energy landscape comprising power generation, grid management and power consumption is still fragmented. All areas typically operate within their own realms. The energy industry, as whole, requires more focus in collaborating, managing and analyzing intelligence to improve reliability, performance, sustainability, and efficiency. With close to 2TB of data generated every day, and only two percent being analyzed, substantial investment is required in this area to provide industries with faster, better access to data at a granular level in user-friendly categories. He cited an example in the agricultural sector, where the analysis of big data produced impressive benefits in a trial project. In 2016, HARA, a field management company – in collaboration with Dattabot – ran an analysis project for a 900-hectare farm – the enhanced analysis enabled the farm to increase yield production levels by 80%, while reducing costs by 10%. The information was gathered from five satellites tracking data related to weather conditions, rainfall, and solar radiation impacting the farm every day. From this, HARA and Dattabot produced recommendations on the optimal time to plant seeds, analyze the soil, make weather forecasts, and manage pests and diseases. While farming and energy production are different industries, it is worthwhile to review the principles, and actions, applied in the trial, and possible outcomes, if implemented in the energy industry. President Widodo announced ambitious development goals for Indonesia when he came to power. Infrastructure-wise, his administration wants to produce an additional 35 GW of energy by 2019. This, according to Perusahaan Listrik Negara (PLN), Indonesia’s sole electricity distributor, will require a staggering 650,000 new employees working in all key areas – energy development, operation, generation, transmission and distribution. Improve Indonesia’s ability to attract large numbers of skilled workers– in The Global Talent Competitiveness Index (GTCI) 2015–16, an annual benchmarking study conducted by leading business school INSEAD, Indonesia is ranked 90th from the 109 countries surveyed. Increase productivity of the current workforce. Implement initiatives that enable workers to upskill through knowledge transfer programs. next 10 or 20 years. Compared to other nations in the region, Indonesia’s electrification rate (approx 80%) is significantly lower and needs urgent attention. The implementation of the 35 GW plan should therefore, be built on effective and efficient private-public partnerships. 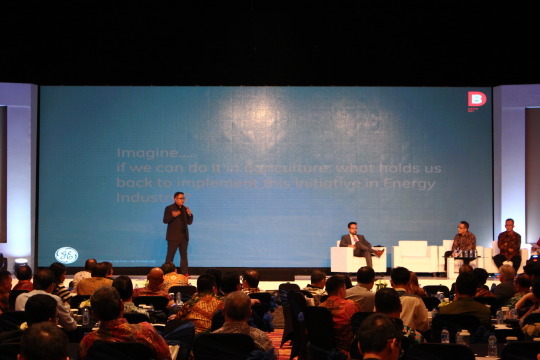 Transformation of the Indonesian energy landscape will require high levels of investment and commitment from all parties – a private-public partnership is an avenue that allows the government to allocate resources to other areas of development, while tapping private sector capital markets for other projects. It also supports more knowledge transfer between relevant players. 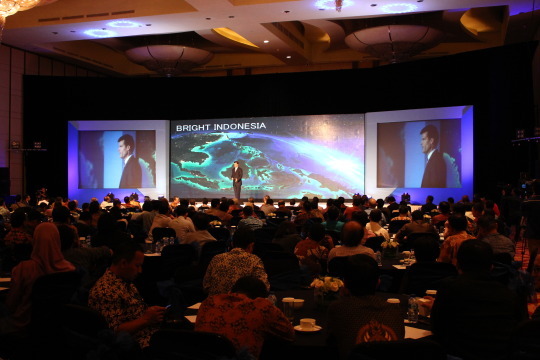 With Indonesia’s demand for energy expected to triple between 2010 and 2030, the country needs to continually develop new plans, and implement programs, to stay ahead. One of President Widodo’s earliest reform achievements – to make the 35 GW dream a reality – was the removal of fuel subsidies. Approximately sixteen billion dollars, or two hundred trillion rupiah, was saved when the government “called time” on the previous fuel subsidy policy in early 2015. The subsidized fuel initiative was a decades-old policy implemented to reduce future risks after the global oil-price crisis in the early 1970s. With new reserves, the Widodo administration is focused on building new infrastructure – especially energy producing projects. To support this, other reforms have also been implemented including new policies to attract new investors and energy partners. The new directives are designed to reduce complexities in processes related to pricing, negotiation, procurement and licensing in the energy sector.